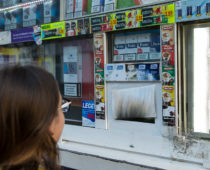 Tobacco companies aggressively block, weaken, and undermine policies designed to protect public health and reduce tobacco use, and at times they may work outside of the Netherlands’ laws. #JapanTobaccoInternational is being accused of illegal sponsorship in the Netherlands. I support an immediate government investigation into these allegations! NL Times: "TOBACCO PRODUCER FINED FOR SPONSORING DUTCH STUDENT CLUBS"